Miguel is the Managing Partner and is in charge of Personal Financial Services. Prior to founding the firm, Miguel held senior supervisory and management positions with large international and local accounting firms. For over 30 years, he has had a leadership role in providing an array of services including accounting and auditing, management consulting, tax planning and tax return preparation. 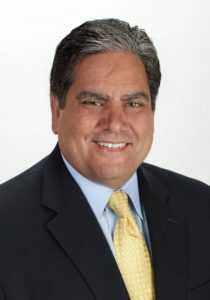 Miguel has assisted a wide range of clients in industries such as healthcare, nonprofit, financial services, real estate development, professional services, retail and manufacturing. He has successfully represented clients in Internal Revenue Service disputes, helped obtain multimillion dollar loans, conducted internal control system assessments and audits, designed creative tax strategies and assisted in buy/sell negotiations. Need assistance with tax planning and consulting? © 2019 Rodriguez, Kinzbrunner & Company, LLP. All Rights Reserved.